Most companies look out for the bottom line. We do, too. 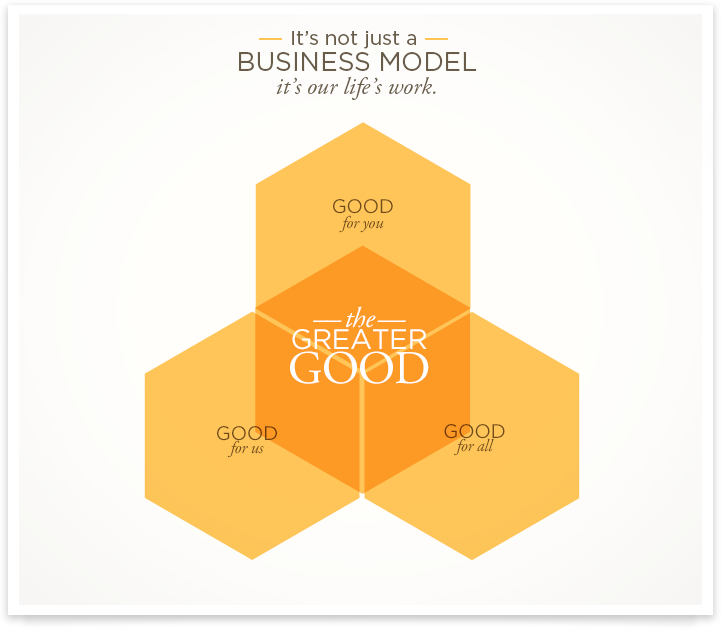 In fact, we have a triple bottom line: people, profit, planet. You can't have one without the other two. So when we look after our own, we mean everybody: our employees, our customers, our families, ourselves. And yes, our environment, too. Our ingredients—right down to the packaging—are simple, natural, and responsible. We practice what we preach—and we hope to set the example for others to follow.